A dwarf and slow growing form of the 'Serbian Spruce'. 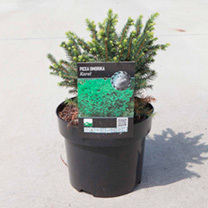 A naturally forming dome shape is produced from the dense and compact dark green needles. Height 90-100cm. Supplied in a 5-7.5 litre pot. A dwarf and slow growing form of the 'Serbian Spruce'. 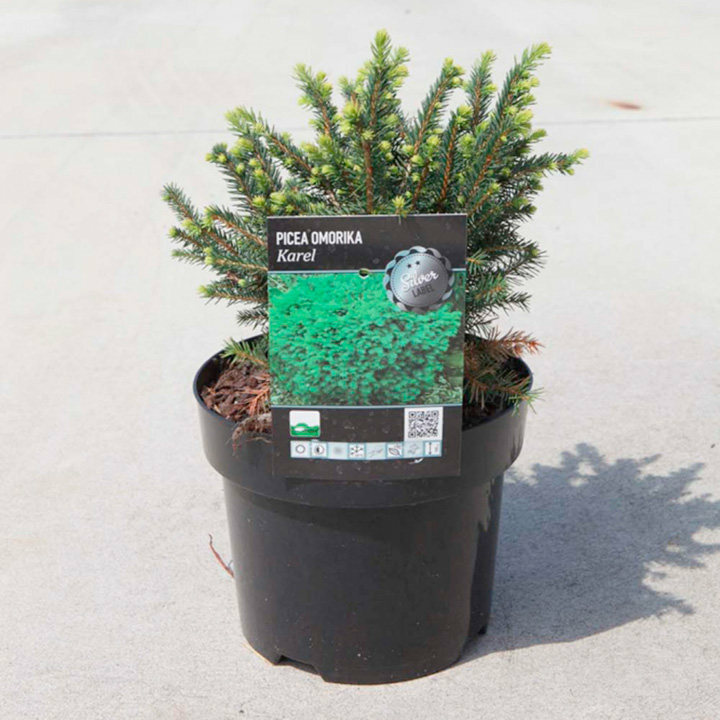 A naturally forming dome shape is produced from the dense and compact dark green needles. Height 90-100cm. Supplied in a 3 litre pot or 5-7.5 litre pot.